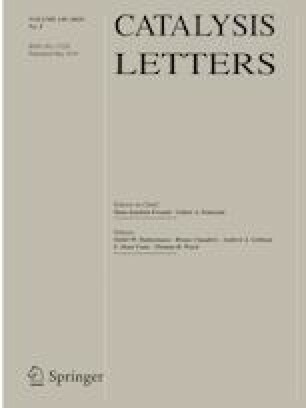 In this research, a novel, biodegradable and environmentally friendly catalyst composed of nickel nanoparticles supported on DNA was prepared and fully characterized by Fourier transform infrared spectroscopy, high resolution transmission electron microscopy, energy-dispersive X-ray analysis, X-ray photoelectron spectroscopy, UV–vis spectroscopy, inductively coupled plasma optical emission spectroscopy, and elemental analysis. The catalyst exhibited remarkable catalytic activity and chemoselectivity for the reduction of various substituted nitroarenes with sodium borohydride (NaBH4) as the source of inexpensive hydride in water at room temperature. High turnover frequency and selectivity were observed for the reduction of all tested substrates. Interestingly, the catalyst could be recovered conveniently for multiple recycling reactions with sustained activity. Furthermore, nearly no nickel species was leached out from the catalyst during the course of reaction, proving the true heterogeneity in the present catalytic protocol. 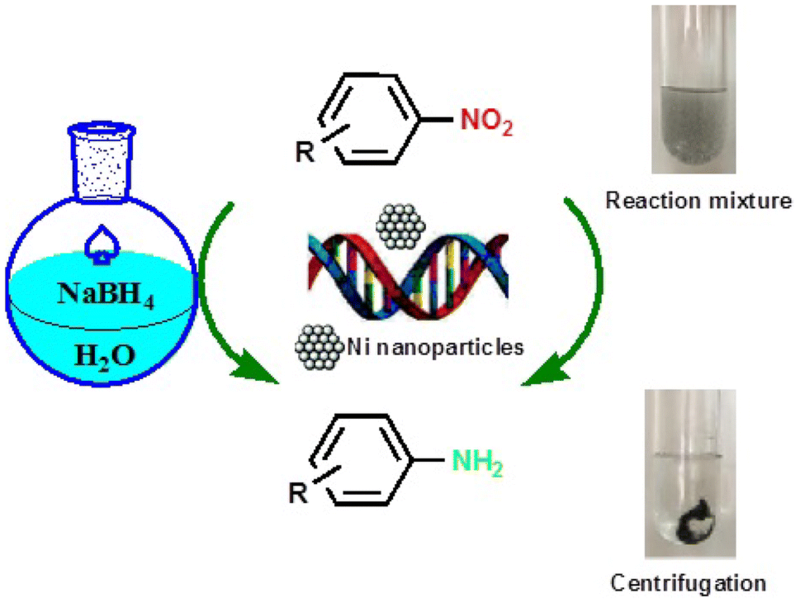 The reduction of various nitroaromatic compounds into their corresponding amines is achieved by DNA supported nickel nanoparticles with the sodium borohydride as the reducing agent in water at room temperature. The online version of this article ( https://doi.org/10.1007/s10562-019-02741-7) contains supplementary material, which is available to authorized users. We thank the financial support of this work by the Research Council of Shiraz University.